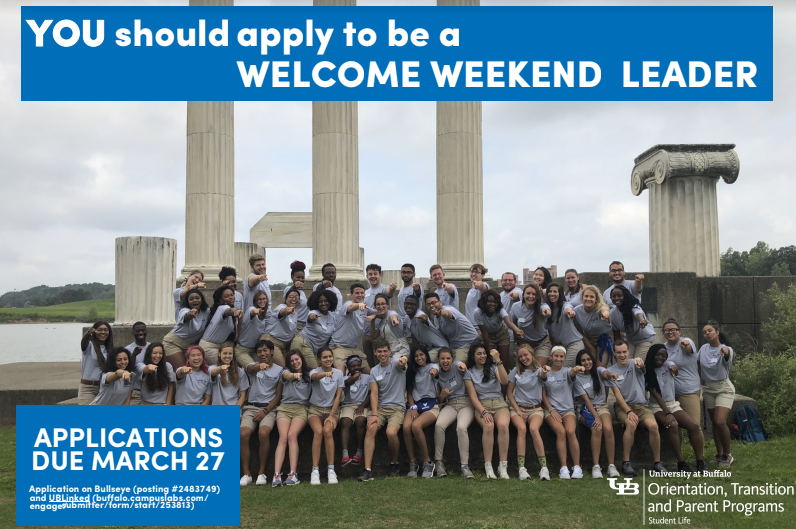 2019 Welcome Weekend Leader application now available. Welcome Weekend Leaders (WWLs) are undergraduate students who work for Orientation, Transition and Parent Programs. 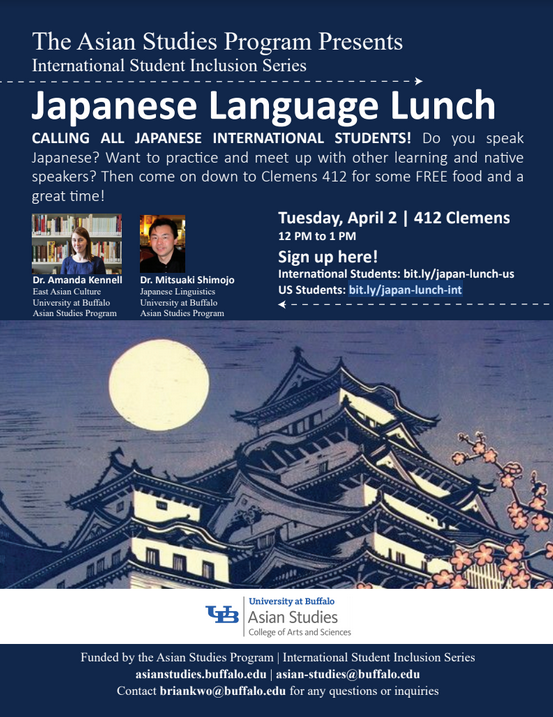 WWLs play an important role in assisting new students during their initial fall semester experiences. The group of 85 WWL staff will guide 4,000+ new students, facilitate small group conversations, and assist with key large-scale programs during the weekend. You will find detailed information (time commitments, moving in early, payment, etc.) about the paid position on UBLinked including the job description and the application under “forms”. You can access the application here. 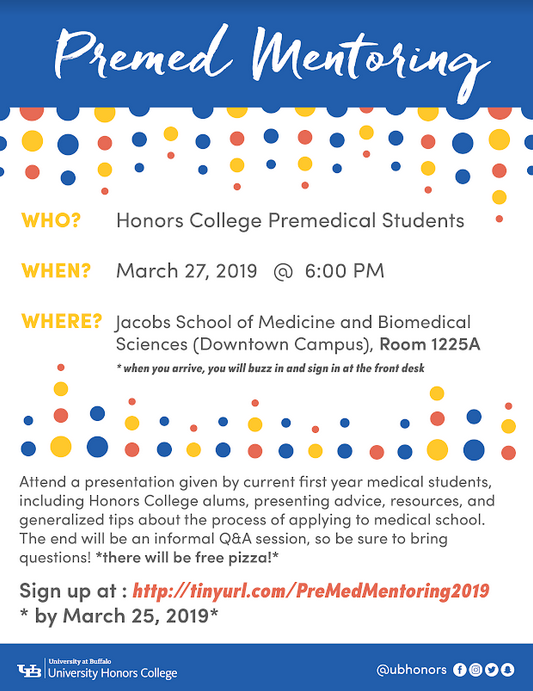 We’ll be accepting application through March 27 at 11:59 p.m. We welcome all undergraduate students, from any major to apply. Human Beings originated in Africa about 100,000 years ago and have developed societies during the last 100 years that have contributed to climate change which risks making the globe uninhabitable for our species and many others. This symposium will examine manifestations of global warming in Africa, its differential impacts on African Populations, and the successes and failures of African and International Institutions as they attempt to mitigate the climate change process, develop sustainable economies and ensure social resilience. 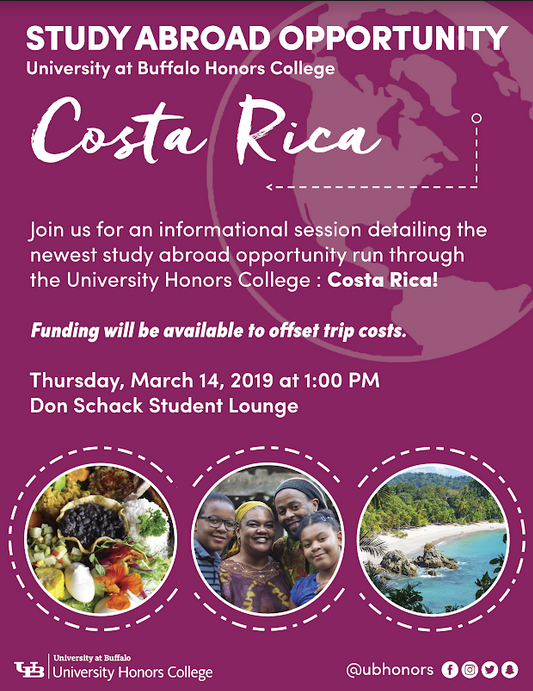 Study Abroad at Costa Rica!